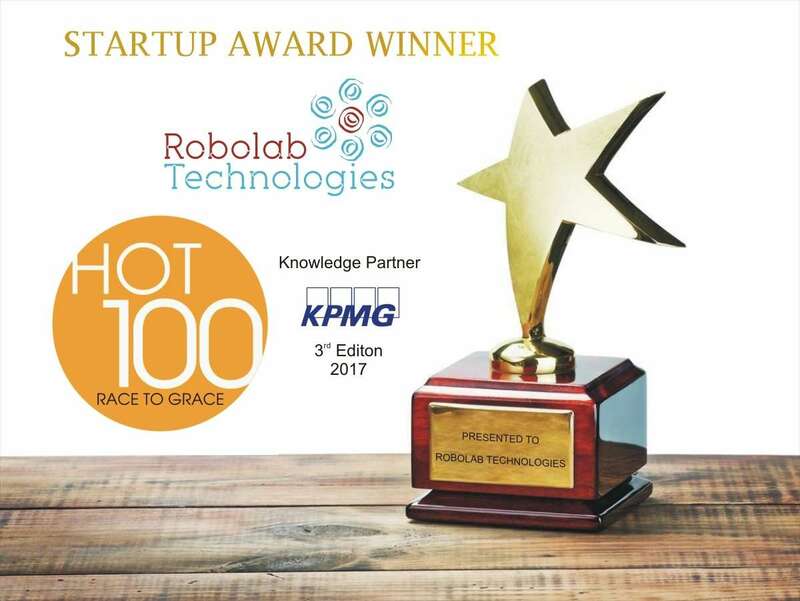 Mumbai, India – March 15, 2017 – Amidst a gathering of emminent CIOs, angel investors, industry stalwarts, VCs, and corporate heads, Robolab Technologies has been recognised with HOT 1OO: RACE TO GRACE 2017 Award, which champions innovation and enterprise. This was the third edition of the Hot 100 Awards, which honour startups providing unique and disruptive technology solutions that work, deliver real benefits, are innovative and potentially address the market at large. This year saw a significant number of entries and the 23 jury member panel was hard pressed to select the winners whose creative use of technology made them stand out. 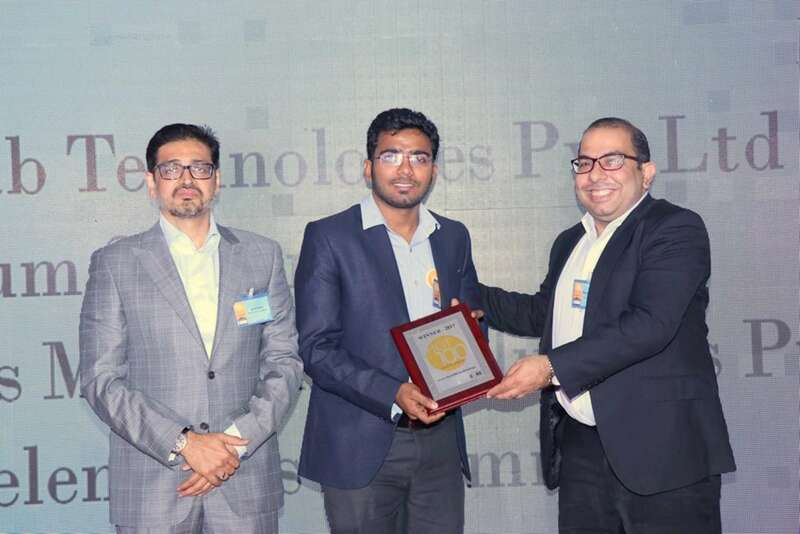 Entries were received from a wide array of fields, from Cloud and Data Analytics to Healthcare, Robotics, Education, Social Media, eCommerce, IoT, and BFSI, among others. 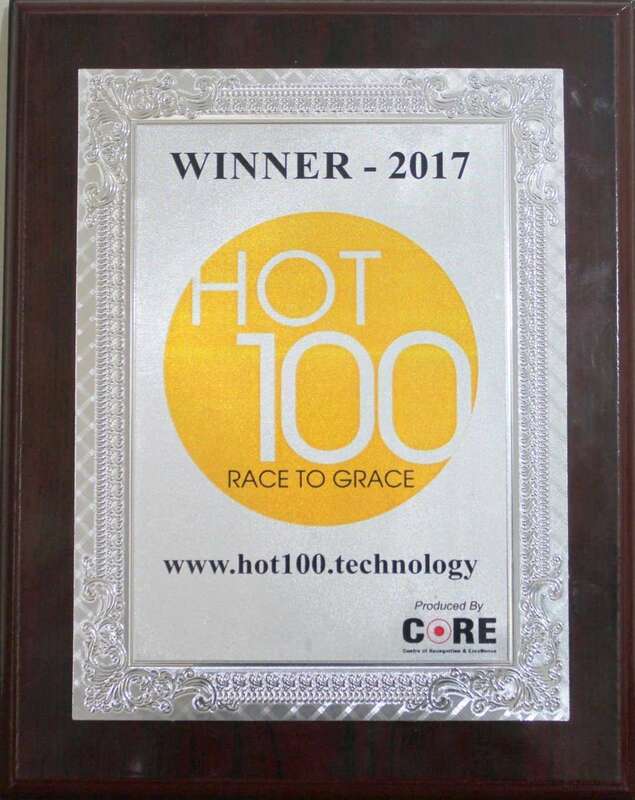 Winners of the HOT 1OO: RACE TO GRACE 2017 Awards were determined by public voting coupled with scores from an imminent pan-India jury panel. The panel comprised industry stalwarts—CIOs, Investors, Analysts, Commentators and Industry Leaders—who allocated scores and basis their expertise finalised the winners. Selection is made by evaluating the startup’s technological innovation, team strength, opportunity size, and product value proposition. The HOT 100 Awards are a celebration of the entrepreneurial spirit, and seek to recognise and reward India’s most dynamic enterprise-focused startup businesses. Having earned this validation and honour, startups have a platform through which they can introduce their company to the world. 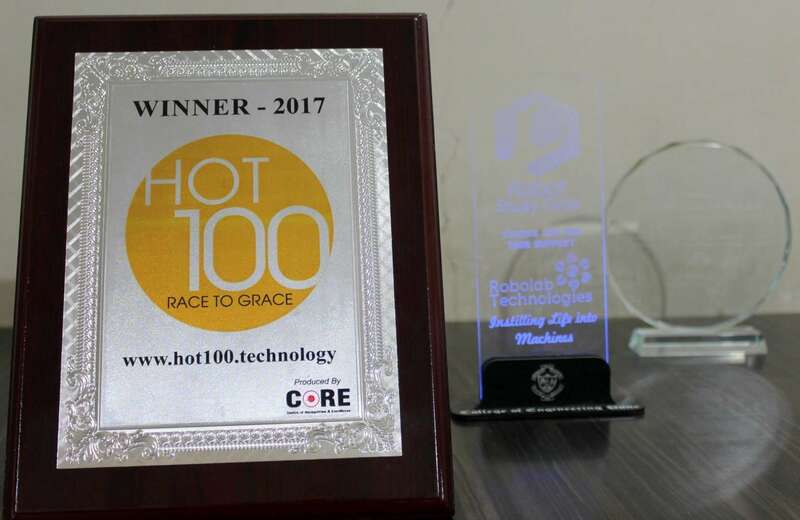 HOT 1OO: RACE TO GRACE 2017 Awards were presented to 100 innovative startups. KPMG is the knowledge partner for HOT 100 2017. Robolab Technologies Pvt. Ltd is a venture by graduates from the prestigious College of Engineering, Pune (COEP) in association with the BHAU Institute of Innovation, Entrepreneurship and Leadership (BIEL), the Incubation centre of the College of Engineering Pune[COEP]. Mr Amol Gulhane (CoFounder and CEO) and Mr Pratik Deshmukh (CoFounder and VP of Sales) embarked on this entrepreneurial journey as soon as they graduated. Robolab is your very own, on campus, centre of Excellence in Robotics and Industrial Automation, tailor made for you. Equipped with all the advanced technologies used in industries, the Robolab offers training courses consistent with the latest curricula and the industry requirements. Thus, functioning as the perfect platform for its users (students as well as teachers) to explore, learn, build and share their ideas. They are providing innovative and interactive training by industry experts and deliver the same while establishing the Robolab Facility.